Welsh-born Mark Raggett RWS started to paint natural surroundings whilst at school, where he was encouraged by his art teacher, Ron Lowe. Another strong influence and help at the time was the painter Graham Sutherland who was still visiting Pembrokeshire to paint during the 1970’s. 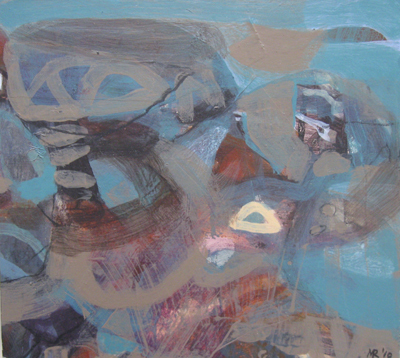 He studied Fine Art at Reading University between 1972 and 1976 and went on to teach at Wellington College for a year. He moved to London and started working in theatre and opera as a scenic artist and then onto Thames Television as a designer where he stayed for five years before going freelance. Since then he has continued to paint, draw and experiment with different media whilst also turning his creative talents to film and television as an art director. Collections of architectural Limited Edition lithographs of urban landscapes featuring London landmarks the London Eye, the Millennium Bridge the Tate Modern and art prints of St. Pauls Cathedral; and landscapes.